This 25th, brace yourself for the stunning experience of Taantrikz Band! Get ready for a performance that will leave you wanting more. The Goan band was formed in 1998 and consists of Tony on Drums/Vocals, Ulrich on Keyboards/Vocals, Brauleo on Bass/Vocals & Bismarco on Vocals/Guitars. Taantrikz is known for its versatility and can perform songs of any genre ranging from Jazz, Funk, Reggae, Rock, Country & Rock n Roll music. The band also has IndiPoP, Bollywood music and Original music in their repertoire of songs. 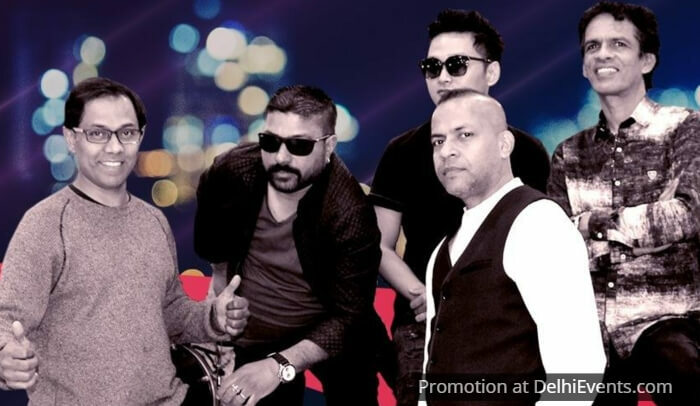 The band has performed for more than 2000 gigs since it’s formation which includes - College fest Gigs, Corporate annual get-togethers, Great Indian weddings, Pub launch gigs & Private shows.